After watching Fleur De Force rave about the Revlon ColourStay Moisture Stains in multiple YouTube videos, I couldn’t get to the drugstore fast enough to try them out! Those of you who follow me on Twitter or Instagram saw that I bought these last week. I got 10 LA Exclusive (left) and 20 Rio Rush (right) for $11.99 each at Shoppers Drug Mart. When you first apply these, with the large doe-foot applicator, the product is very thick and the colour is quite uneven, streaky and blotchy. Give it 30 seconds or so and it’s like the product melts into your lips, leaving a lovely moisturized and shiny finish without being sticky. They really do make your lips look voluptuous. So far so good, but the one thing I’m not too keen on is the length of time these lasted on my lips. Even though “stain” is in the name, you definitely should not think of these as lip stains. When I think of a stain I think of something that’s really going to stay on my lips (stain my lips with colour). These are definitely glosses, in the sense that they are creamy and shiny when applied, but don’t expect them to stay on your lips for a long time. Even just 20 minutes later I could see that a significant amount of the product was already gone, which is a shame because they are amazingly pigmented when first applied. Even though they didn’t seem to last very long on my lips, I really do like the feel of these and the shiny finish on my lips. There’s something about them that makes me want to put them on every morning. 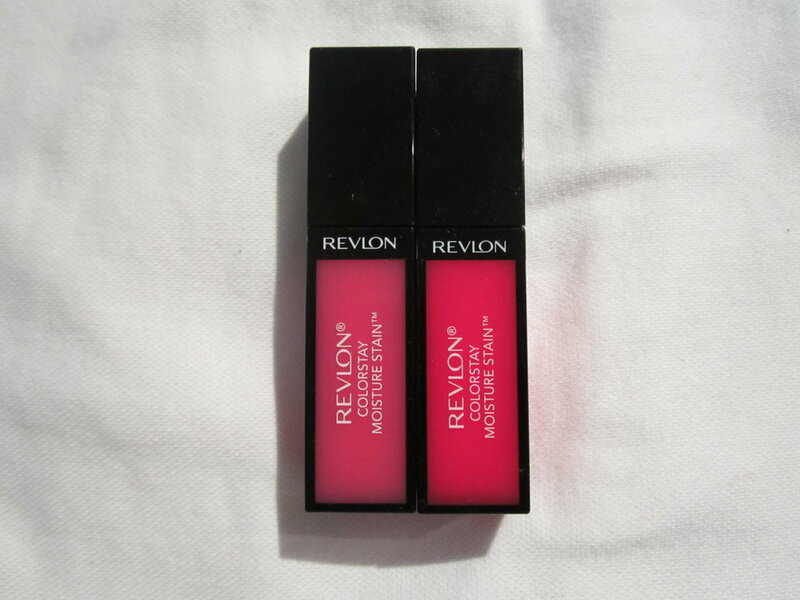 If you don’t have a problem reapplying your lip gloss throughout the day, you should at least give the Revlon ColorStay Moisture Stains a try. Let me know what you think!